Manufacturer of a wide range of products which include square counter flow cooling tower, square frp cooling towers, square type frp cooling tower, frp square cooling towers and square bottle type cooling tower. Since our inception, we are broadly instrumental in offering superior quality Square Counter Flow Cooling Tower. The offered product is manufactured using contemporary machines and top class raw material at our efficient production unit in adherence to set international standards. Further, we offer this product in a multitude of specifications as per the information laid down by our clients. Moreover, our reputed customers can avail this product from us at an affordable rate. Being a well established company in this industry, we are involved in offering an excellent quality Square FRP cooling towers. Our product has gone through a series of parameters to ensure its unmatchable quality and perfect finish by our quality controllers. 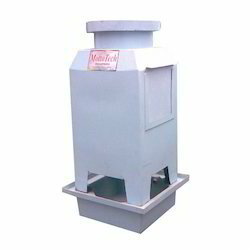 The offered tower is widely used for a number of industrial applications. 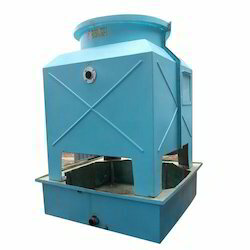 Apart from this, our square tower is broadly demanded in domestic and international market. 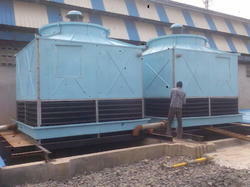 We are highly efficient in bringing forth an astonishing range of Square Type FRP Cooling Tower. 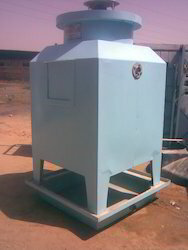 Owing to our expertise in the manufacturing, exporting and supplying sector, we are involved in offering qualitative FRP Square Cooling Towers. It is made available in different specifications to meet variegated needs of our clients. 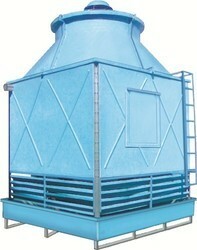 The square shape cooling towers designed specially for an alternative to round model for selection to our buyers. The cooling towers consist of honeycomb PVC fills and eliminators in a design that maximizes economy and efficiency and directly driven fan and motor with spray nozzles minimum drift loss. Hot dipped galvanized hardware with rectangular casing body in elegant design. Square shape cooling tower that performs under induced draft counter flow principle for the operation. The hot water enters through hot water inlet that passes through nozzles which distribute le water evenly. This water is spread over the heat exchange fills. Then the water flows downward as a thin film through the fill in direct contact with ambient air moving upwards in a counterflow direction. Note: We have 18 models in 5 tr to 750 tr cooling tower capacities.